A hotel’s mission statement should include some exceptional and memorable services it provides for the customers than its competitors do. It should include some different service characteristics. The hotel managers must make sure that the exceptional and memorable services are executed well so that these services do not fail. To provide unfailing services continuously, training and maintenance of its employees on a regular basis must be undertaken. The complex range of intellectual, personal, and interpersonal skills required to deliver quality customer service. A service provider can apply such sophisticated skills only after undertaking foundation training in their organization’s product and services. Hospitality managers are required to select and train employees in these areas, to develop and modify systems and processes to support service delivery and to motivate employees to meet customer expectations. As role models, managers show service employees how to manage the service encounter, how to apply judgment and how to solve problems. The difficulty, of course, is that customers frequently do not know exactly what they want. Even when they have received what they regard as superior service, they are often unable to articulate, why it was superior. Hotel services are not ‘pure’ services but a combination of ‘service’ and ‘product’. Example: Restaurant meal – tangible product; Waiter service is intangible service. The Service Component: provision of accommodation, food, drink and space in which to relax or conduct business. The Supply component: is the provision of meals and drinks through hotels food service department. The supply of information from the front office or concierge. The Manufacturing component: involves physical transformation of raw materials into goods such as meals and dirty bedroom into clean ones, etc. Transportation component: the conveyance of guests to and from any place. No hotels can survive without transportation. Tow types: surface (on land and sea) and air. These four groupings each has different operational characteristics and hence require different approaches for their effective management. Tangible products can be directly experienced, seen, touched, smelt, tasted and tested, probably in advance of purchase. Intangible products on the other hand can’t be tried out in advance. Most tangible products have some intangible elements some features can’t be seen or tasted in advance. Tangible elements: Admin & Clerical, Room facilities, Room décor, Restaurant facilities. Intangible elements: Reception service, Night sleep, Room ambience, F&B service, Restaurant ambience, etc. The molecular model relates well to the nature of the hotel product since it too comprises a collection of separate but interrelated elements such as the room facilities, the room decor, the food in the restaurant, the service received from the staff, the overall ambience of the establishments and so on, built around the intangible core of a night’s stay away from home. One conclusion from the molecular approach is that intangible-dominant enterprises should stress the tangible features of their operation to counteract the abstract nature of the intangible features. In this way it is suggested that hotels should pay particular attention to the people who work in contact with the guest, he decor of the establishment, the correspondence with the guest, and any other tangible evidence for that particular attention. Services are Perishable: a hotel room which is unsold on one day can not be sold until the next day. The fixed cost increases such as cleaning, mopping, electricity, welcome basket, etc. Services are Intangible: services depend upon culture of the hotel, personality of the hotel staff, the image of the hotel, etc. Services are Heterogeneous: service given to one customer may differ from service given to customer in another room. Because one customer is attending a conference, the other is in honeymoon or relaxing. Services are Contact Dependent: Unlike manufacturing where the producer and the customer may never come into contact, it is impossible for a customer to experience a hotel service without physically being present. Services can not be Owned: Unlike manufacturing products, hotel services can’t be owned for ever. Because customers hire the hotel services and products for the time they stay in the hotel. The front office in a hotel is called the heart of operation. In fact, the only direct contact most guests have with hotel employees, other than in the restaurants, is with members of the front-office staff. The hotel front office system takes care of customer accounts and the day to day running of the hotel as well as the Reservations. They all need to not only hear, but listen with better intensity. Front office managers must remember that the front desk is the communication center of every hotel. The front office manager must monitor both guest and staff interaction to insure proper guest service and protocol. The most obvious requirement for any successful front office manager or sales professional is to know all the details about your product and services. Most interaction a hotel guest makes is with the front office. That’s why if any problem faced by the guest, they call front office whether it could be function of other department. All the pressure goes to front office but they welcome these with smiling. They maintain good language, positive attitude, and instant knowledge. Mr. Karim had just dashed out of the ABC Hotel in a hurry, late for his next appointment. He started to open the car door only to realize he misplaced the keys. He retraced his steps, frantically searching the parking lot and purse and briefcase compartments. Mr. Asad, the hotel’s area sales director, noticed Mr. Karim’s distress and immediately commanded the front desk agents, bellmen, housekeepers, the bus driver, the security guard and various administrators lingering outside to help in the search. Much to Mr. Karim’s amazement, the whole team enthusiastically jumped in and dedicated their efforts to locating the keys. With no luck and recognizing his dilemma to get to his next meeting, Mr. Asad offered to drive him. When he dropped him off, Mr. Asad offered to pick him up again and drive him back to his office where he could arrange for a spare key. Through leadership and a commitment to service excellence, Mr. Asad surpassed all expectations, motivated his staff to do the same and turned a potentially negative experience into a memorable and positive one. When ordinary individuals do extraordinary things to actually serve a customer or guest, that’s exceptional service. In a world where good service seems to be the exception rather than the rule, why are excellent examples so rare? Why are front-line personnel so seemingly ill equipped to provide the kind of service that makes a difference? Is service, especially exceptional service, a lost art? This question of service, even at satisfactory levels, is not new and has actually been building to a crescendo. While building new hotels, cruise lines, restaurants and attractions continues at a frenzied pace, guests are demanding more than new lobbies and exquisite cuisine. Travelers search for ways to make their lives easier and their moments more memorable. Guests want their needs anticipated and their expectations surpassed. The competition for experiences that count is higher than ever. In areas, where tourism ranks as one of the area’s leading industries, there are constant mixed reports on the quality of service. And while examples of good service like Mr. Asad’s exist, the challenge of consistently finding, delivering and experiencing exceptional service seems greater than ever. The intriguing opportunity is that exceptional service leads to Takas. But these Takas are being lost through lack of guest experience management. There is no question – service sells. Repeat business, referrals and extended stays depend on guests having a comprehensively positive experience. And while technology has created more avenues to reach customers and guests, it can turn guests off and cause unanticipated disappointments without a live body to respond to their needs. Guests are craving the personal touch more than ever – and they will pay for it. The magic to it is the exceptional service formula and is directly traced to guest experience management. The prepackaged moment is not enough. From the moment a guest steps off the plane or drives up in a car, the experience “clock” is ticking. Guest experience management takes charge of this process. This proactive strategy distinguishes “experiences” from “services” and promotes them as a new economic offering. For example, services are delivered; experiences are staged. Services are intangible; experiences are memorable. Services are customized; experiences are personal. Services are delivered on demand; experiences are revealed over a period of time. Services address benefits; experiences address sensations. Whether the experience begins by phone, at the airport, the car rental counter, the taxi to the hotel or the entrance of the hotel, the restaurant, the cruise or the attraction, an impression and memory are in process. Each of these impression touch points build on each other and are huge opportunities to provide exceptional service – and greater profits. If the doorman, the bellman, the front desk clerk, the pool attendant, the room service representative, the housekeeper, the concierge and the general manager proactively participate in creating engaging and exceptional encounters, guests will sign up for more and will tell others about their wonderful experience and the excellent service. This was certainly the case with the entire staff at the ABC Hotel. Employees often feel constrained by their job titles. Doormen should mainly open doors, massage therapists should mainly give massage treatments, and room attendants should mainly clean rooms. This type of constraint can inhibit the potential creativity and zeal that employees experience in their jobs. The manager’s job is to ensure that every employee knows that their primary job is to serve customers. Each employee should know this from the very beginning during the recruitment and interview processes. Never should say “no”. Always should give options and alternatives. Going above and beyond will be the minimum standard of performance for all customers. Feel empowered to create exceptional memories. This assumes that the leader trusts his subordinate enough to empower him, coach (not chastise) the efforts and give encouragement regularly. Coordinate and work with other departments to surprise and delight customers. It is difficult to go above and beyond by yourself. Always follow through on customer requests. This may be time for each of us to reconsider how to take service to a higher level. Hotel leaders should encourage their employees to take on new areas of responsibility in creating guest experiences and provide appropriate training to do so. In hospitality, greatness should never be taken for granted and hotels must always strive for constant, consistent and persistent service to maintain and enhance reputations they have earned. In the hospitality business, leaders who care about their employees will inspire them to take risks with new ideas, empower them to do more and create opportunities to make more memorable moments for each guest. Employers who care more about employees will see those same employees care more about guests. Guests who are cared for, especially in uncertain times, will become more loyal and in turn, feel reassured to spend more, want to repeat their experience and will refer others. Everyone feels comfortable at “home” and when the same spirit of welcome is created for guests, they become more comfortable and are able to more fully enjoy a leisure or business hospitality experience away from home. Hoteliers should have the courage to take the next steps in service delivery and instill curiosity, hard work, honesty, loyalty and commitment in their employees. With a strong mission statement which unifies all managers and employees in a shared purpose, service excellence standards can be defined. With a solid framework for exceptional service delivery, these values and standards will become stronger than ever and guest experiences will benefit from a new generation of service excellence. Consider ways to enhance the personal touch at each point of contact and really think about the ways guests may be able to connect more with your environment. In order to understand why customers choose one product over another, it is necessary for managers to have some understanding of the consumer decision making process. There are numerous extrinsic (external) and intrinsic (internal) factors this influence this process as shown in the following figure. Intrinsic factors include physical, emotional, and other needs that may be met by the hospitality experience. Extrinsic factors, such as a consumer’s cultural background, also pay a role in decision making, particularly in choice of food. As figure shows, once a customer perceives a need (in this case, hunger), this translates into action, when a review of options is undertaken. This could involve a search of restaurants on the internet or a stroll down the street, looking at menus. Family or group members may influence the decision and the purchaser may have minimal involvement in the decision making process. Once a decision has been made and the meal is eaten, the group makes an evaluation of the quality and the value of the meal consumed. This covers the whole experience, such as the wait time for service, the noise from other patrons, the music and the lighting, even when these factors are not consciously considered. Reliability: Ability to deliver the promised service. Responsiveness: Readiness of staff members to help in a pleasant and effective way. Competence: Capability of staff member in executing the service. Courtesy: The respect, thoughtfulness, and politeness exhibited by staff members who are in contact with the customer. Credibility: Trustworthiness and honesty of the service provider. Security: Absence of doubt, economic risk, and physical danger. Access: Accessibility of the service provider. Communication: Understandable manner and use of language by the service provider. Understanding the Customer: Efforts by the service provider to know and understand the customer. 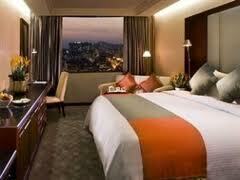 There are some services attributes to which the hotel managers must pay special attention to maintain well. The following figure shows these attributes. Elegant banquet service High quality of food in restaurants. The types of customer service issues that may emerge in the hospitality environment are many and varied, and some that management and staff are sure to encounter are shown below. Response times vary considerably. In the restaurant setting, the customer who have just arrived wants immediate attention, while the customer waiting for the dessert menu is seldom is such a hurry (unless planning to go to the theatre or a movie). It is the manager’s responsibility to ensure that all staff do their best to understand, and cater for, all customers’ need. Customer expectations regarding the level of service provided should be clarified by management in all promotional literature. At the budget level, minimum services are provided, linen is not changed daily and cleaning is minimal or perhaps excluded during a guest’s stay. Indeed, in a backpacker lodge, there may be a lockout period for cleaning and maintenance, during which all guests are expected to leave the premises. At the other end of the market, a guest can expect linen to be changed daily, a turndown and a chocolate on the pillow. Such premises would be kept in ‘as new’ condition at all time. Pricing is an extremely tricky issue for hotels. For example, a yield management approach can result in different prices for the same product. Like the airlines, hotels discount their rooms to large groups and to guests who book well in advance. This practice is aimed at increasing occupancy and yield (profitability). Only a small percentage of customers may be paying the full rack rate, while the majority of customers are on corporate or other discounted packages. If rooms are discounted for large tour groups and a hotel is consequently fully booked, potential revenue is lost if guests who are prepared to pay the full rack rate have to be turned away. In the hospitality industry, product includes meals, beds, furnishings, business centers, gymnasiums, swimming pools and the like. Quality expectations of the product offered are generally linked to price. Food products, for example, can differ markedly. Some restaurants offer menu items that are prepared from only the freshest and finest ingredients, which result in exquisite product at a high price. Other restaurants use packaged, frozen and bulk foods in their products, which sell for a lower price. A customer may choose the products and price ranges of both types of restaurants at different times. In the accommodation sector, too, there are circumstances where the one customer is looking for a low budget solution when travelling privately, and is happy with minimal furnishings, but when travelling on business or booking a conference, their expectation of room quality is quite different. Presentation standards also vary according to price. Clients would expect to pay the highest price for the formal banquet, for example, while a catered function at home would be far less sophisticated and far less costly. Personal presentation standards also relate to the type of being staged. One of the most important issues for customers is complaint management. Indeed, it is preferable to call it ‘problem-solving’, since the issue is frequently unrelated to the product or service provided directly by the hospitality establishment but to a range of associated circumstances. For example, a customer may arrive from the airport at 10 am not realizing that their room will not be available for check-in until 2 pm. Storing the guest’s baggage in the interim or encouraging guests to use the swimming pool area and change room to shower and relax while waiting for expeditious room cleaning can solve such a problem. Successful hotel operation depends almost about its services. Sometimes an effective service can achieve a guest’s mind even they are unsatisfied with some of the products the hotel provides. It is all about the employees’ capability to handle the guests whatever happens being apologized, polite, and smiling. Service employees are entrusted with considerable responsibility. They are asked to connect with customers, manage their service encounters and achieve some standard of service excellence – usually relating to customer expectations. Interacting with customers requires employees to invest both emotional and mental forethought and apply a combination of interpersonal skills, sales skills, and self-monitoring skills. Moreover, they are usually expected to do this with grace, courtesy and empathy, while at the same time being effective and adaptable. 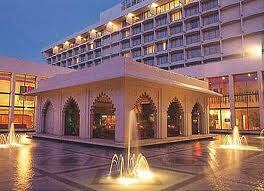 Then they will be able to provide the unfailing services which are the keys to successful operation of hotels. Satisfied, excited visitors, gaining new knowledge and send friends and family to experience the same hospitality.